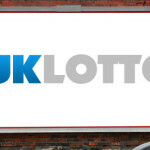 After a series three of rollovers for the UK Lotto jackpot prize, four players successfully managed to match the elusive UK Lotto winning numbers. The four tickets will share the May 29 Jackpot prize of £13,905,628. 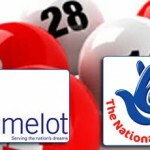 Earlier in the month, the UK lotto players had enjoyed a winning streak whereby each draw yielded a jackpot winner until later in the month when the rollovers began. The winning numbers that made each of the lottery players £3,476,407 richer, were 02, 06, 07, 15, 25 and 44 with the bonus ball number being 45. Apart from the four lucky jackpot winners, 21 tickets matched five of the UK Lotto winning numbers plus the bonus ball to each scoop the £57,433 second tier prize. Additionally, another 828 ticket matched the five winning numbers. Each of the third tier ticket will scoop £910; a massive difference from the second tier prize. 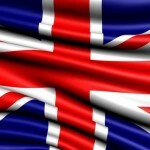 The next UK Lotto draw is slated for Wednesday with its jackpot prize back to the basic sum of the £2,200,000. 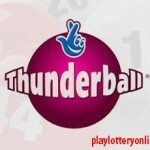 Players can beat the lottery queues by purchasing their lottery tickets online. Onto other news, the ever-fantastic Powerball lottery currently holds the spot for the largest jackpot prize offering. The popular multi-state lottery game has its jackpot prize at $ 146,000,000. The current jackpot prize is a roll over from the Saturday’s draw after none of the players matched the winning numbers. The winning numbers from the draw were 13-14-41-49-59 with the Powerball number being 14. The next Powerball lottery draw is slated for Wednesday night.